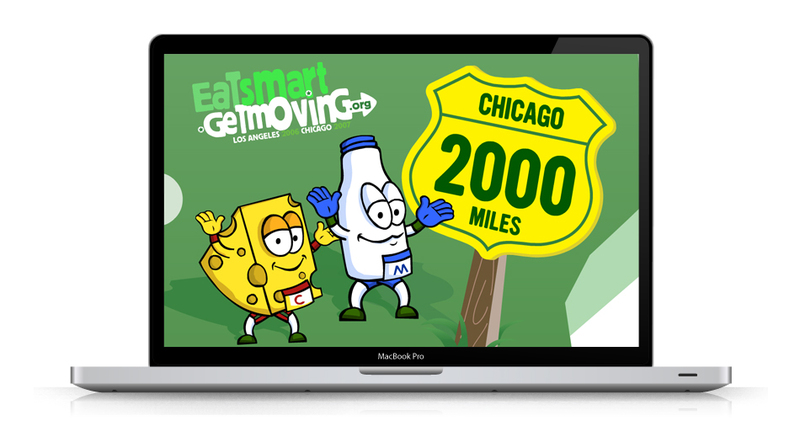 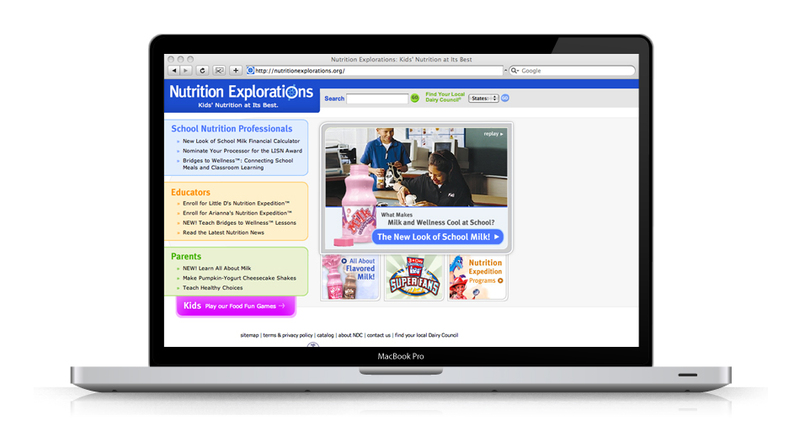 A long term client of I-SITE the NDC puts on a yearly collaboration between themselves and the NFL to encourage kids to eat properly. 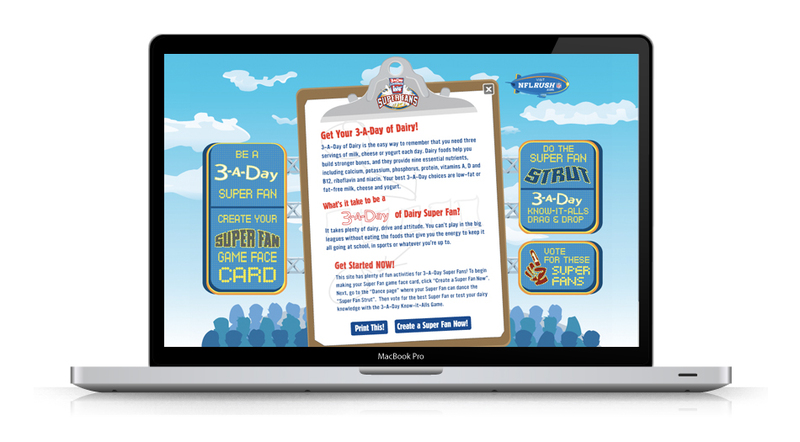 With a couple brainstorm sessions with the client, we came up with an integrated campaign which lead to this interactive stadium, posters, playing cards, and t-shirt iron-ons. 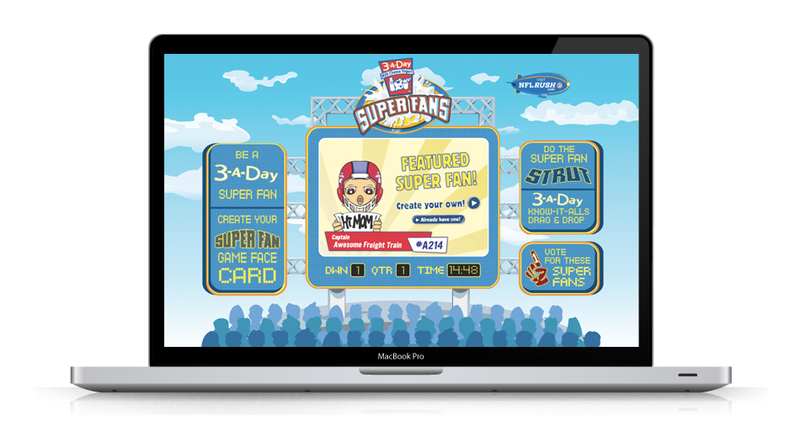 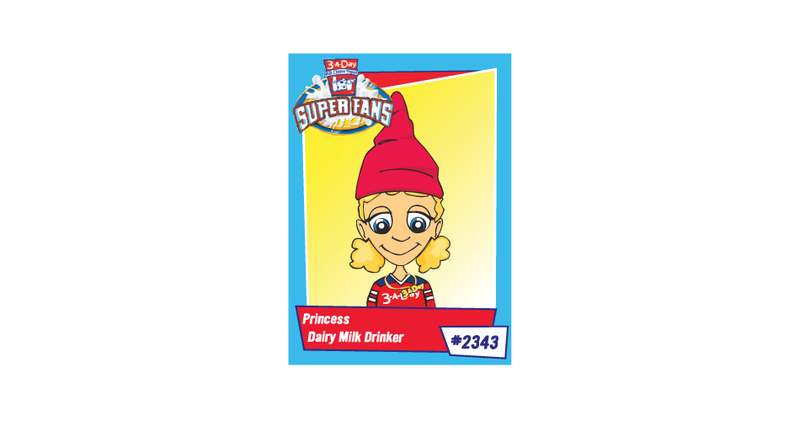 Make your own Superfan!